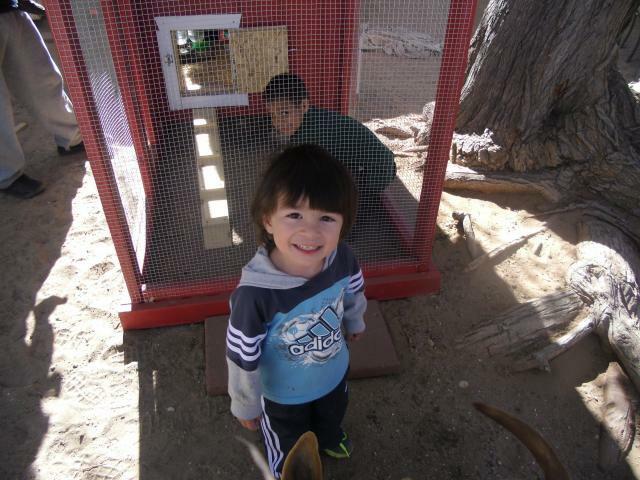 So, I have been wanting chickens for a long time & we decided this was the year. 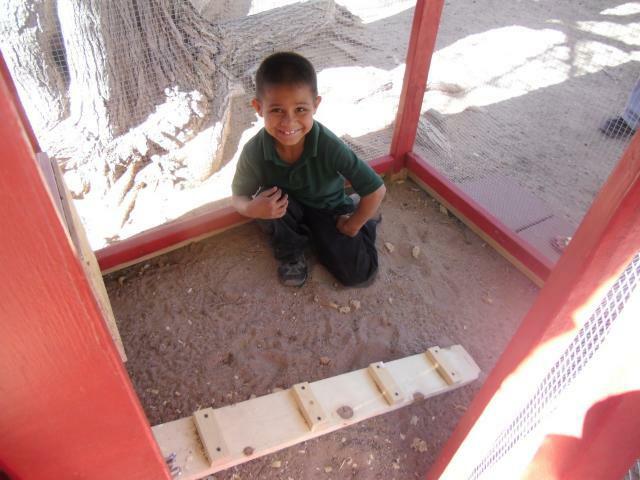 We are landscaping our backyard this year, so we wanted something that we could incorporate into the landscaping. 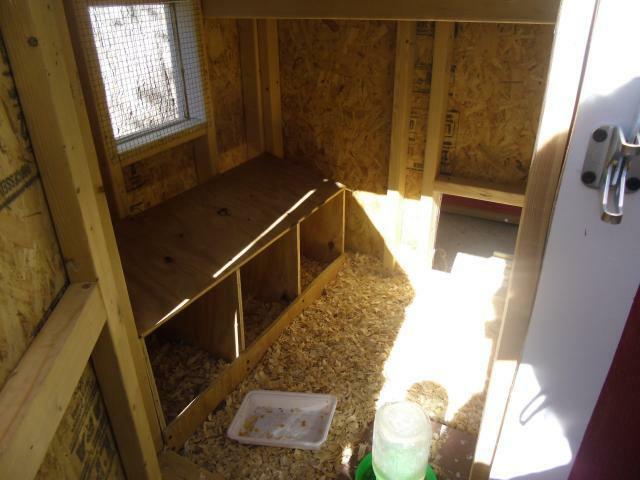 So my DH bought Building Chicken Coops for Dummies & got started. 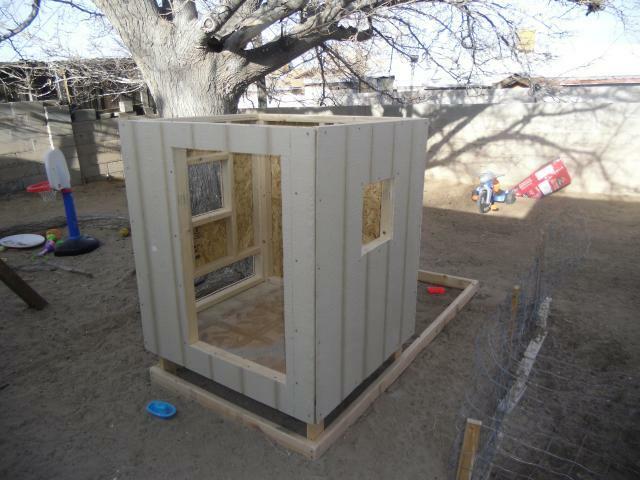 I have had my eye on the Playhouse Coop, but my DH wanted plans with very specific building instructions. 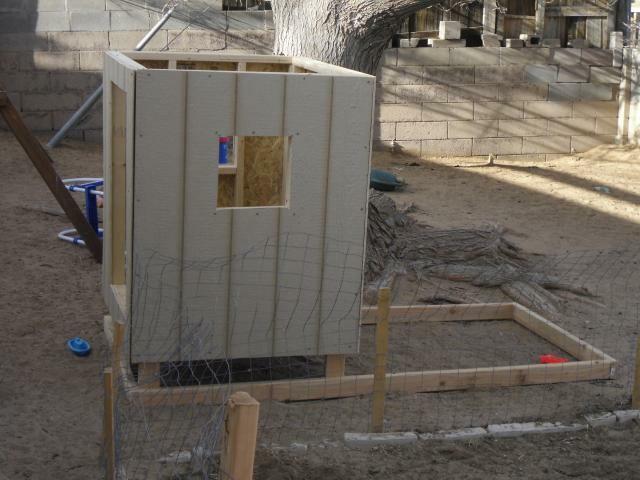 The base is done and the framing for the coop is up. 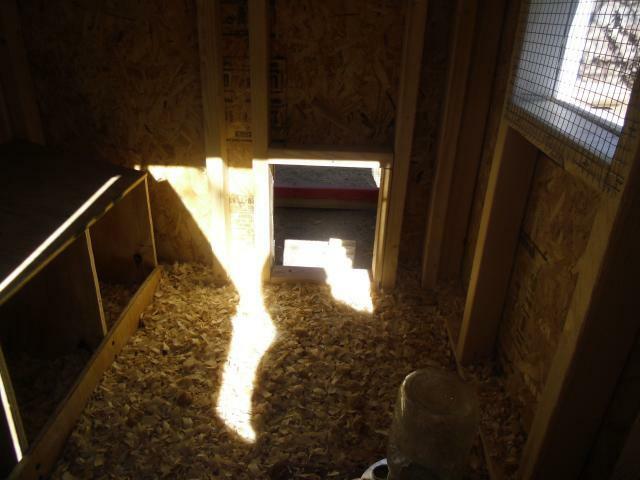 The footprint is 4x8 and the house is approximately 3x4. 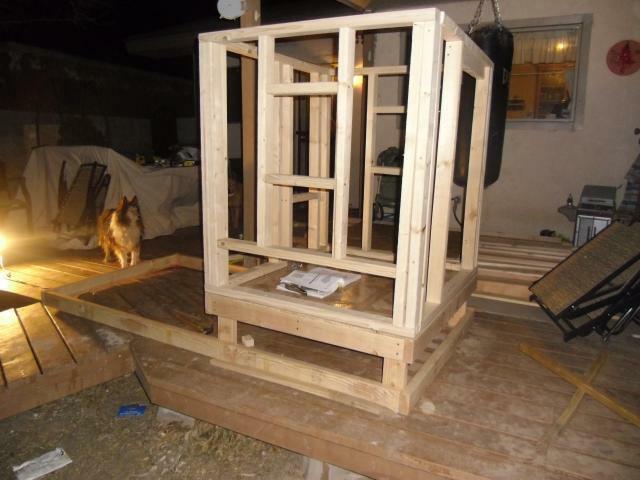 It will have a window on either side, a nest box door, a large door on the back and a small chicken door on the front. We moved it to it's final place in our yard. 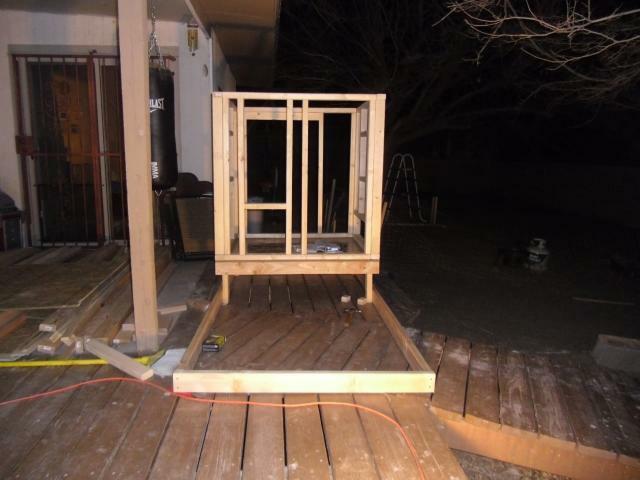 According to the plans it should sit on 2 4x4 skids so it can be moved. We decided we would not be moving it, so we skipped that step. Now that we have moved it into place we realized that it is ridiculously heavy so skipping the skids was probably a good idea. We went with stick on vinyl tiles for the floor. Not sure if that was the best idea or if we should have gone with 1 large piece, but we glued each of them down and stapled the corners. 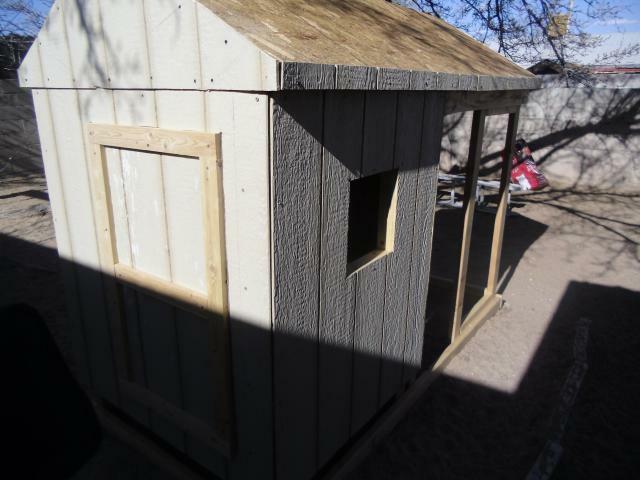 Today he framed out the doors and added the roof. 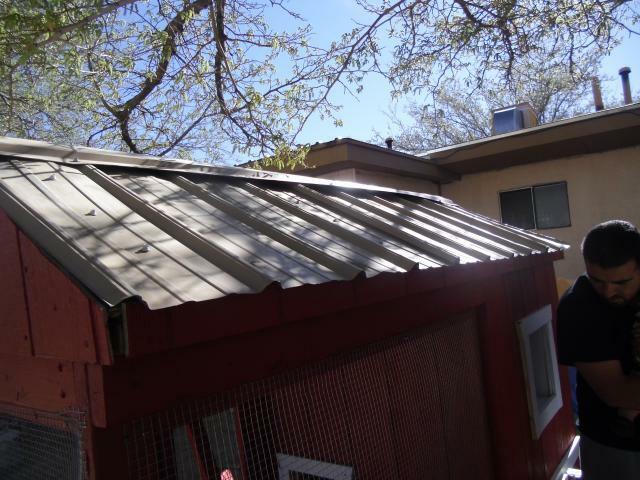 Now the big question is: what kind of roof should we put on? We are pretty much done. We decided to go with the steel panels. 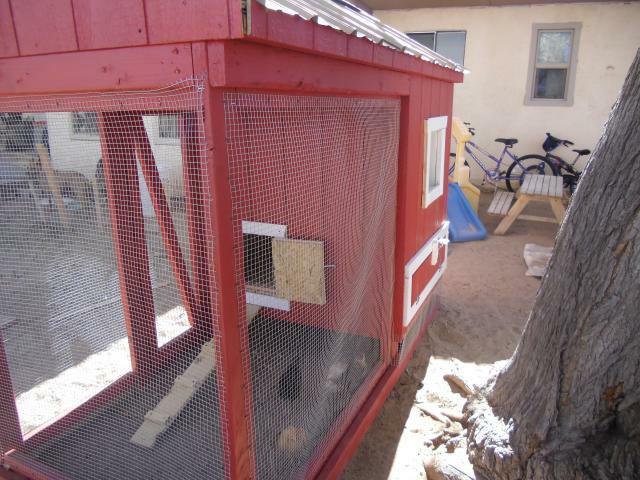 The guy at Home Depot tried to convince us that we should go with corrogated because it is cheaper and "just" for a chicken coop. He must have seen the look on my face when he said that because he offered my DH a 16 foot piece of steel roofing for $10!!! That saved us around $40! 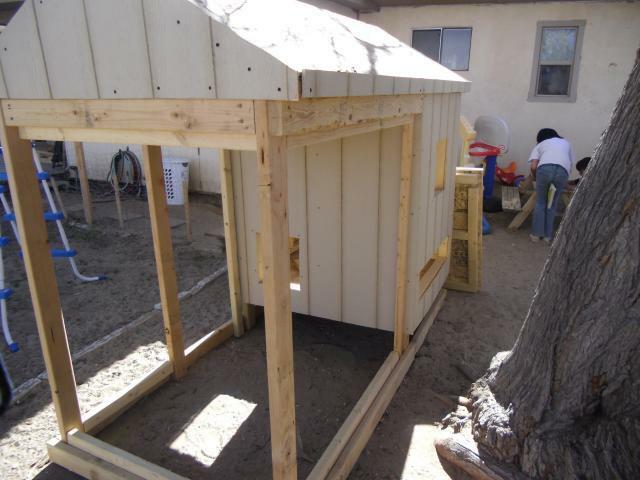 We still have to add the drip edging, corner pieces and window boxes. 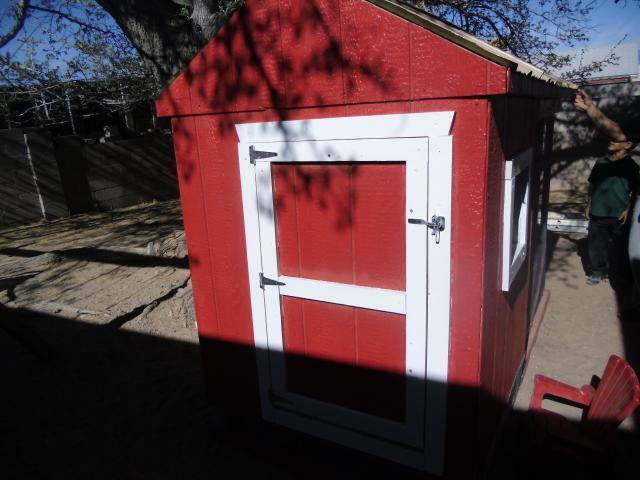 The paint color is called fiery red and came out just perfect. 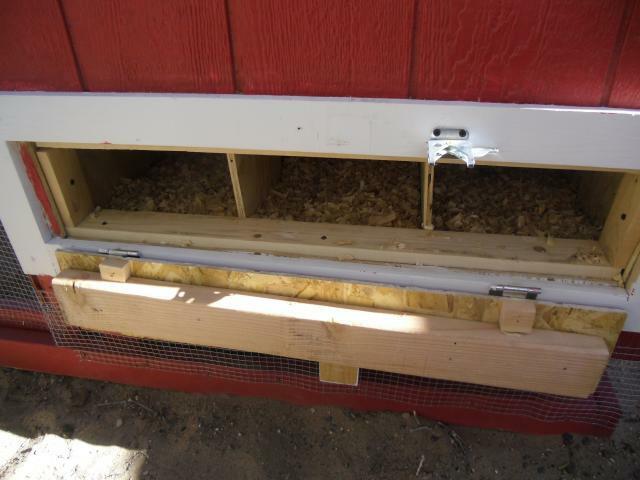 3 nest boxes for the 5 girls. The girls. 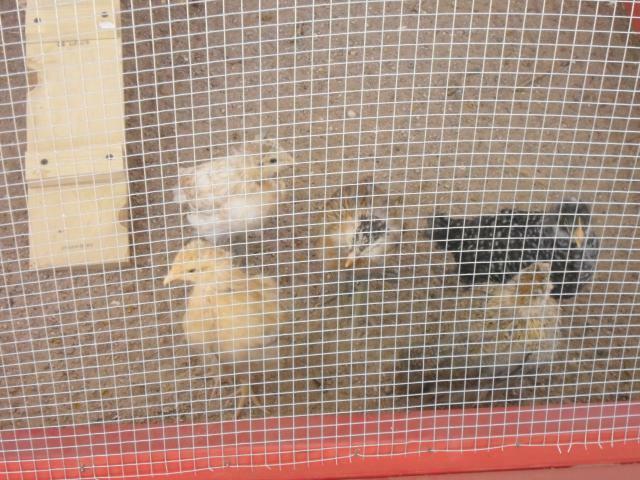 We have 3 Easter Eggers (Layena, Pip, Squeek,) 1 Buff Orpington (Omlet) and 1 Barred Rock (Ina Garden). 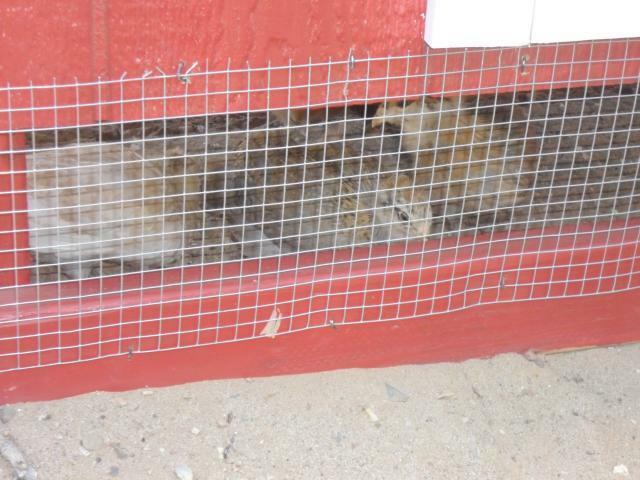 The brooder was no match for our mischevious little Pep. She was a mischevious little bird from the get go. 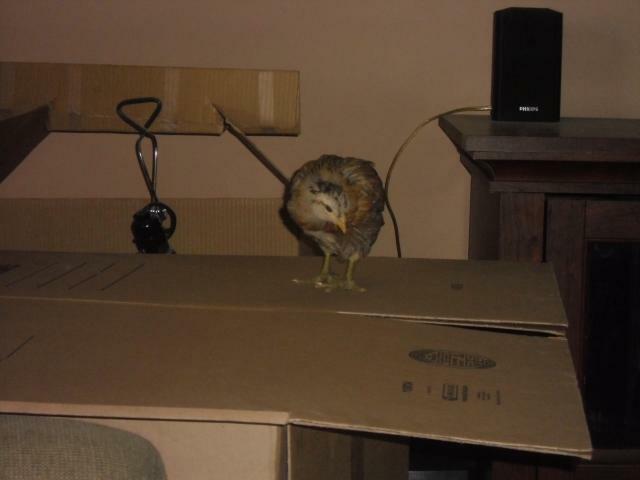 She would fly out and wander around our living room. 3. Did not use windows since it is warm most if the year here. We used hardware cloth on the windows. 4. 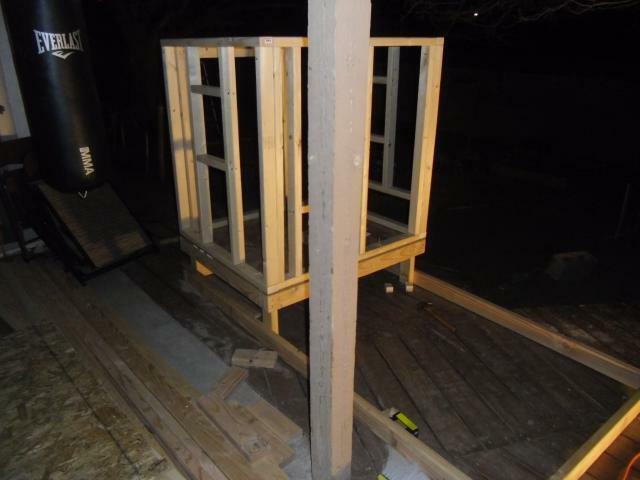 There were a couple mistakes in the measurements of the plan. My DH adjusted accordingly. 1. The size. 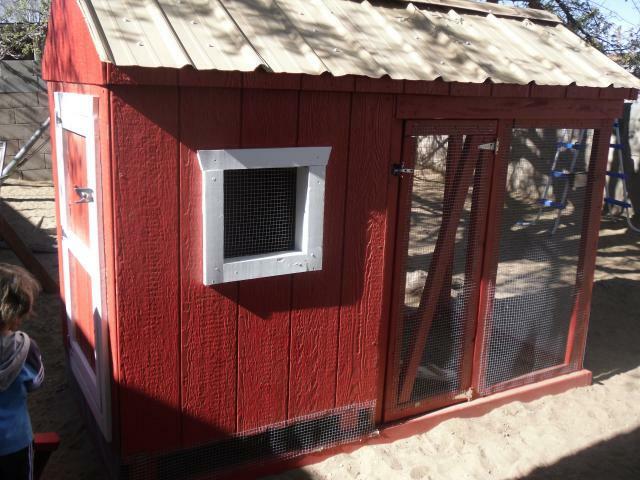 It is perfect for the amount of chickens we planned on getting. 2. The style. 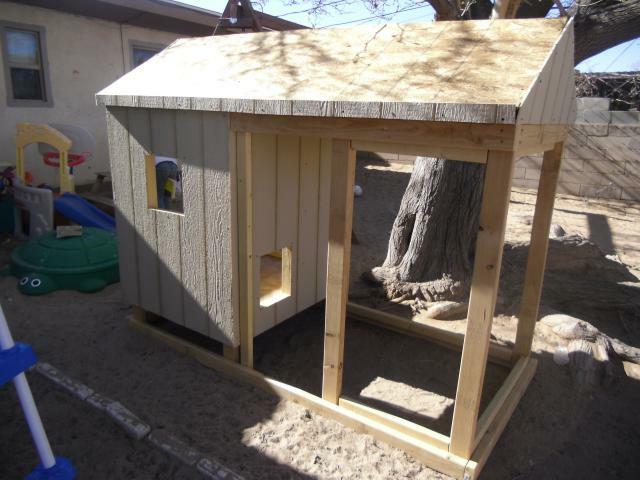 It looks very similar to the playhouse coop that I have been eyeing. 3. All in one design. 4.The book itself. 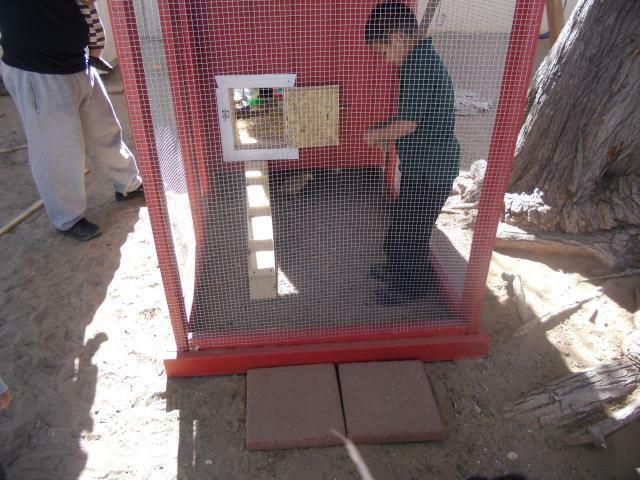 It had great construction info, several plans, and step by step directions. 5. Great height. Everyone in my family is able to fully stand in it. 1. 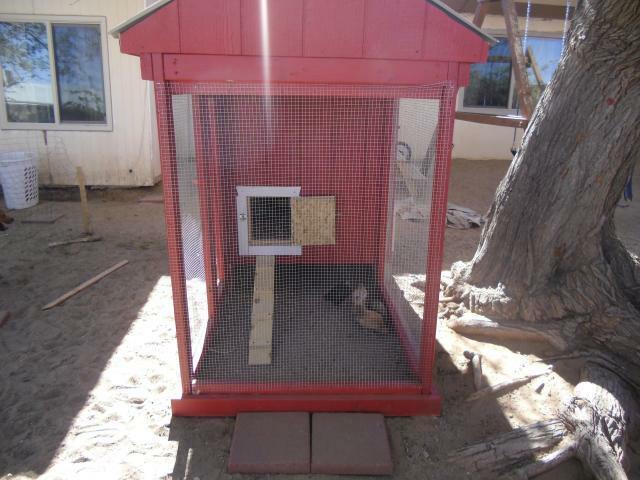 I will probably be incorporating a poop board under the roost. Will be added ASAP. If you would like any specific details on the planning/ building, feel free to send me a message.